Question of the Week: If you could take the place of one author, which author would it be and what changes would you make in his/her writing style? - Suggested by NJKinny’s World of Books & Stuff. Well, I'd love to be J.K. Rowling. To get a taste of her genius. And her gobs and gobs of money! I really wouldn't change much about her writing. I might change up the epilogue a bit. And I definitely would keep Lupin and Tonks alive, and maybe give him a stronger relationship to Harry throughout the series. I'd be Stephenie Meyer, so I could (1) Completely change Breaking Dawn and (2) Write Midnight Sun. What are the funniest books you've ever read? 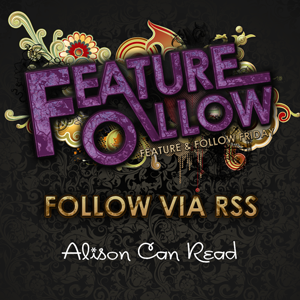 - Suggested by Alison Can Read **That's me!!**. Nice! Yeah, with Rowling I didn't mind the epilogue, but parts of it felt forced. It was odd, that's all! Yes! I wish Stephenie Meyer would have finished Midnight Sun. It helped make Edward's stalking Bella make sense.